This ‘emergency issue’ of Open. Cahier on Art and the Public Domain is a special edition (in Dutch only) that accompanied De Groene Amsterdammer on September 23, 2011. It not only addresses the austerity measures, but also pays special attention to the overarching ideology and the right-populist government policy from which these arise. Similarly, the publication does not merely defend the position of the arts, but is a record of public opposition to what many believe is a malicious policy that is adversely affecting or excluding growing numbers of groups (the sickly, immigrants, refugees, children, the elderly, artists, ‘ordinary’ people) and issues (relating to culture, knowledge, the environment, education, health care, multiculturalism). This publication is an ‘emergency issue’ in the truest sense, which also testifies to the social and political solidarity that stems from the conviction that art is inextricably linked to all of these issues and so much more. It is also an appeal to become more politically engaged, not only by literally and figuratively voting for a party, but also by being aware each and every day of the political dimension of actual practises and activities. 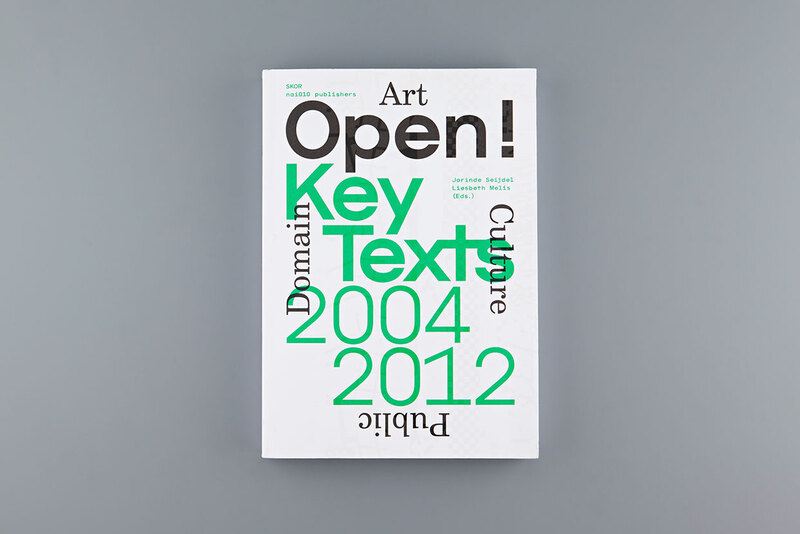 This anthology brings together key texts on the field of art, culture, and the public domain published in Open by NAi Publishers and SKOR | Foundation for Art and Public Domain from 2004 until 2012. Together, these essays written by international theoreticians provide powerful insights into the most important areas of theory and practice in today’s public space. They also reflect the effort invested and the themes covered by Open in the eight years it has existed. Subjects covered include safety, informal media, social engineering, precarity, war, privacy, populism, transparency, mobility, and autonomy. 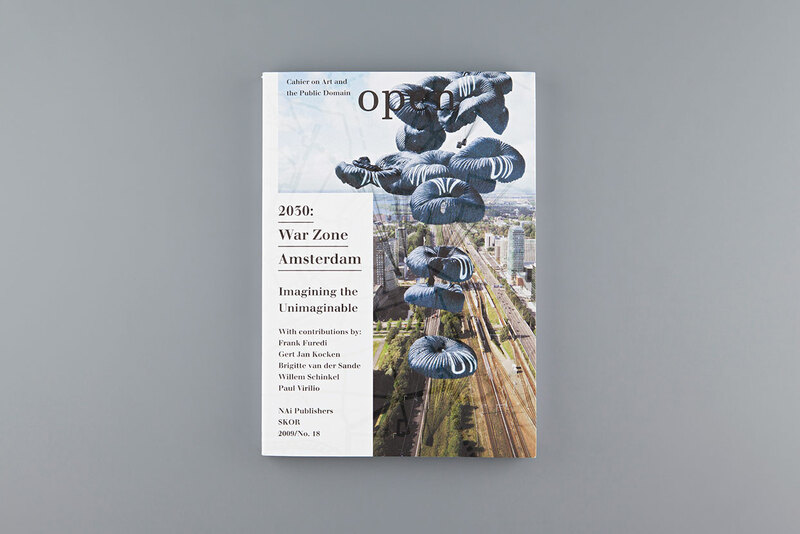 With contributions by Gijs van Oenen, Wolfgang Ernst, Jorinde Seijdel, Jonathan Sterne, Roemer van Toorn, Saskia Sassen, Stephen Wright, Geert Lovink, Chantal Mouffe, Marc Schuilenburg, Pascal Gielen, Matteo Pasquinelli, Willem Schinkel, Felix Stalder, Yves Citton, Brian Holmes, Boris Groys, Sven Lütticken, Noortje Marres. In 2005, in the book and the exhibition Making Things Public: Atmospheres of Democracy, Bruno Latour and Peter Weibel asked themselves how a democratic politics could function better and what the role of things, objects, issues and art might be within that. 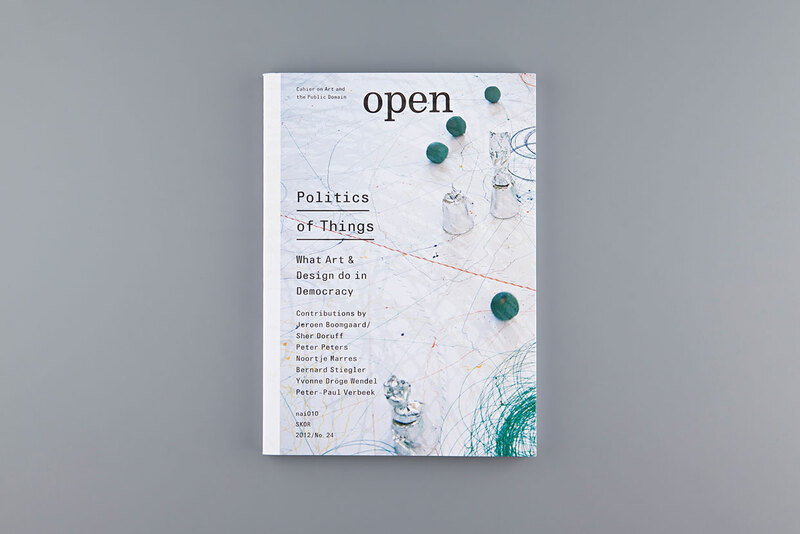 Open 24 investigates the current state of affairs in the theory and practice of ‘The Politics of Things’. What does a thing like ‘art’ do in democracy, how does art make publics, how does a thing interact with other things and people, and how does it influence them? In this time of ideological and political crises, in which people and things are increasingly thrown back on their own resources, autonomy is becoming attractive again. But how does autonomy, the wish to take matters into one’s own hands and have significance independent of old structures, relate to the call for engagement and performativity? 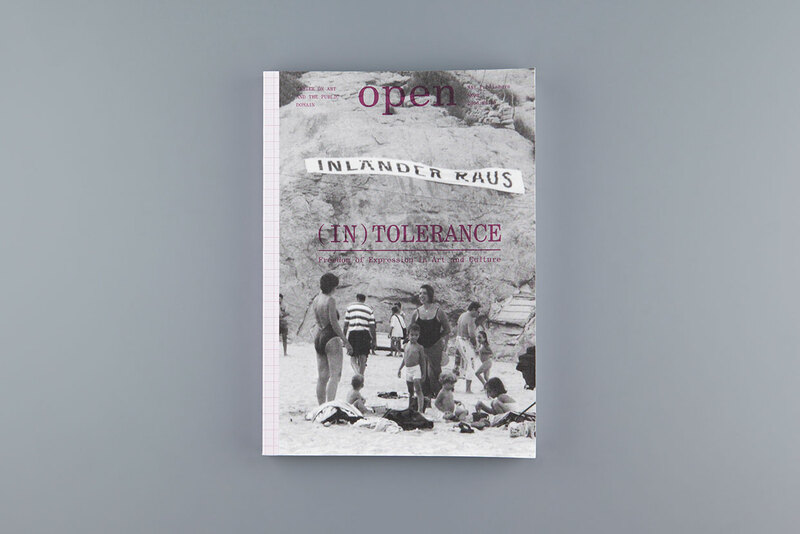 This issue, made in collaboration with Sven Lütticken, examines autonomy from the standpoints of art, art history, philosophy, political theory and cultural criticism, and attempts to escape the limitations of thinking in terms of engagement on the one hand and autonomy on the other. 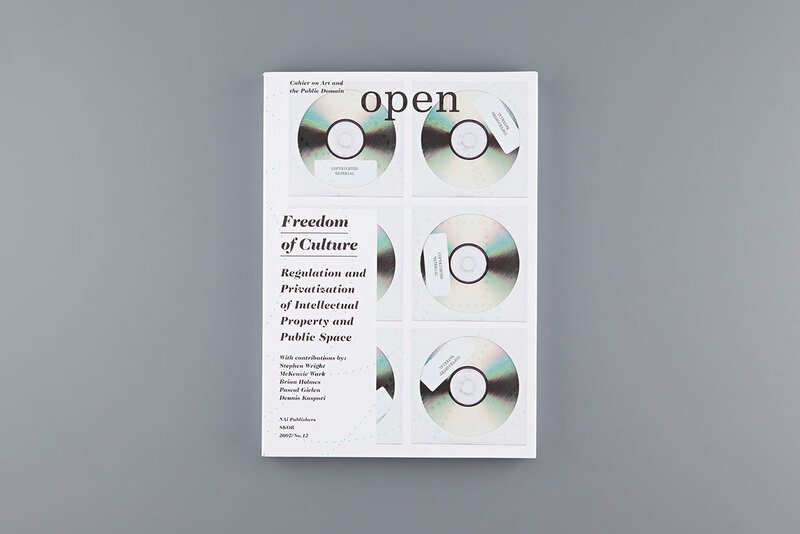 Taking WikiLeaks as an illustrative example, Open 22 investigates how transparency and secrecy relate to one another, to the public and to publicity in our computerized visual cultures. It examines transparency as an ideology, the ideal of the free flow of information versus the fight over access to information and the intrinsic connection between publicity and secrecy. Does transparency only work in a liberating way? Cannot it equally have a concealing or controlling effect? Aren’t certain forms of transparency actually the manifestation of the banality of the contemporary spectacle, which revolves around pure display and the production of affects? What role do the media play in this? Advanced communications technologies seem to be paving the way for an increase in physical and motorized mobility. At the same time, these accelerating flows of data and goods stand in sharp contrast to the elbow room afforded to the biological body, which is forced to a standstill. And while data, goods and capital have been freed of their territorial restrictions, the opposite is true for a growing proportion of the world’s population: border regimes, surveillance and identity control are swiftly being intensified. We are seeing an uncurbed and uncontrolled increase of mobility and segregating filtrations. 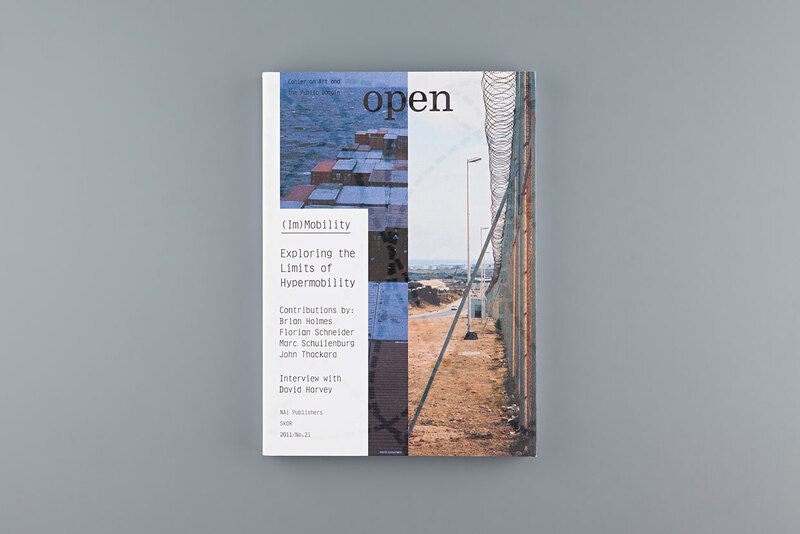 This issue of Open explores the contradictions of prevailing mobility regimes and their effects on social and physical space. It is one of the most famous slogans of the revolt of May 1968: ‘All power to the imagination!’ Those who appeal to the imagination nowadays – Silvio Berlusconi, the Tea Party movement, the Dutch politician Geert Wilders – have altogether different intentions. Right-wing populist movements are storming the political stage in Europe and in the USA. The imagination is now put to work to sharpen and fix identities, to stir desire for an imaginary past, and to cultivate myth. 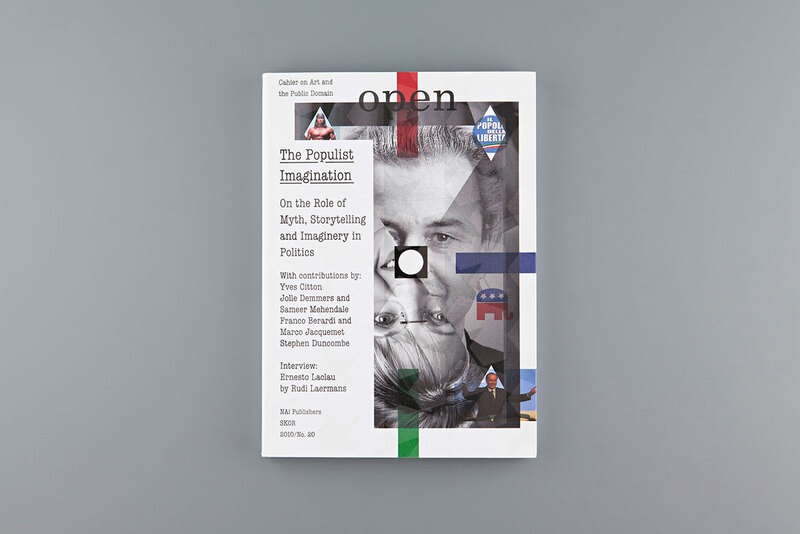 This issue of Open deals with the imaginary, storytelling and myth in populism and politics in general. In Open 19, the concept of privacy is examined and reconsidered from the legal, sociological, media theoretical and activist perspectives. The focus is not so much on deploring the loss of privacy, but taking the present situation of ‘post-privacy’ for what it is and trying to gain insight into what is on the horizon in terms of new subjectivities and power constructions. The contemporary social reality of Amsterdam, in which the debates on some social issues exhibit very little creative development, can be presented in a radically different light through the fictitious element of a war in Amsterdam in 2030. 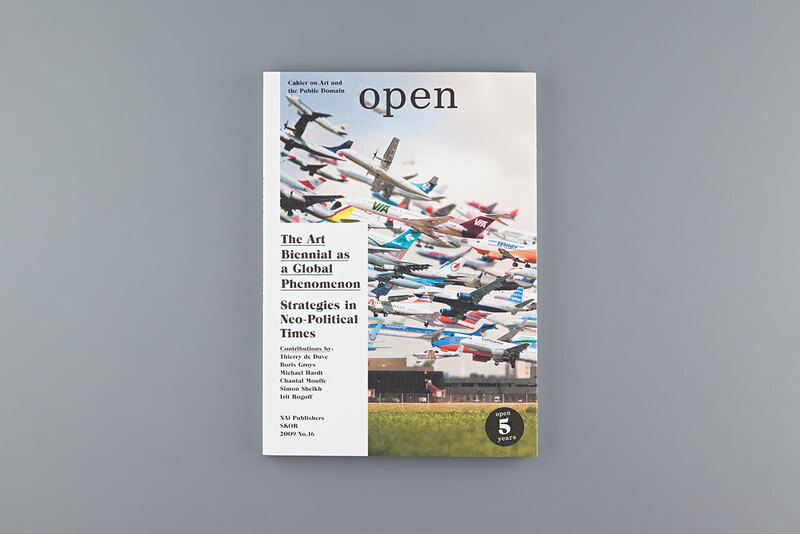 Using Amsterdam as a test case, this issue of Open is about questions and problems facing contemporary Western cities in general: fear and safety, privacy and biopolitics, control and militarization, globalization and virtualization, commercialization and neoliberalism. For a few years now there has been an international discourse surrounding the notion of ‘precarity’ or ‘precariousness’, boosted by European social movements and philosophers such as Paolo Virno. Precarity refers to the relationship between temporary and flexible labour arrangements and an existence without predictability and security, which is determining the living conditions of increasingly larger groups in society. Precarity occurs simultaneously at many places within society as a consequence of the neoliberal, post-Fordist economy with its emphasis on the immaterial production of information and services and continuous flexibility. The same is true of the creative sector: flexible production and outsourcing of work, typical aspects of the service economy, can also be seen in businesses devoted to art, culture and communication. 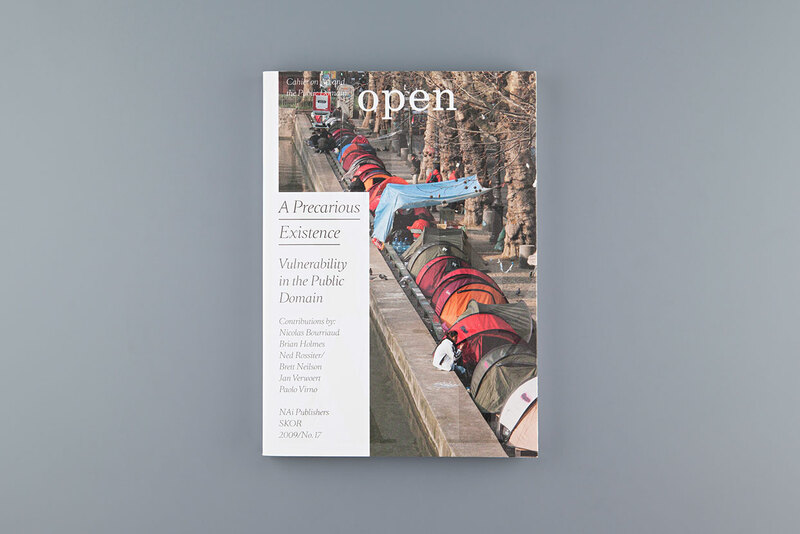 This issue of Open addresses precariousness in a cultural and social context and deals with such matters as the functioning of the art scene and the conditions of the precarious city and public space. Not only is there a boom in international art biennials, but they are also increasingly deployed for developing and marketing cities and regions. In order to compensate for this, political issues are more and more often put on the agenda. Can biennials really represent an alternative political voice? 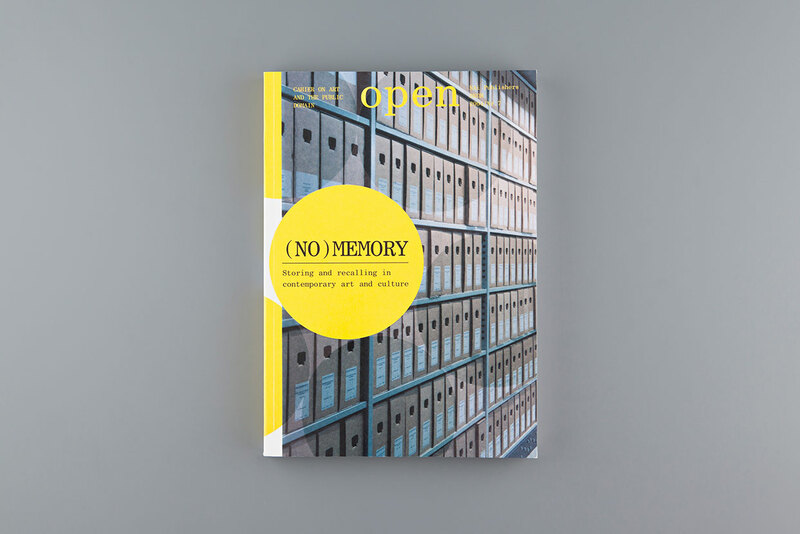 This extra anniversary issue of Open contains a number of lectures delivered at the debate on this issue in October 2008 in connection with the first Brussels Biennial. Together with supplementary texts, a ‘reader’ has been created in which the biennial as a global phenomenon is analysed and approached not only in terms of an art theoretical discourse or curatorial practice, but also on the basis of more sociological and politico-philosophical points of view. Is social engineering now a hollow ideal, or does it offer urgent perspectives once more? In current discussions about urban politics and social systems, theorists and designers are once again asking whether social engineering is not a pre-requisite of the human desire for organizational forms and interventions that guarantee a pleasant communal existence. 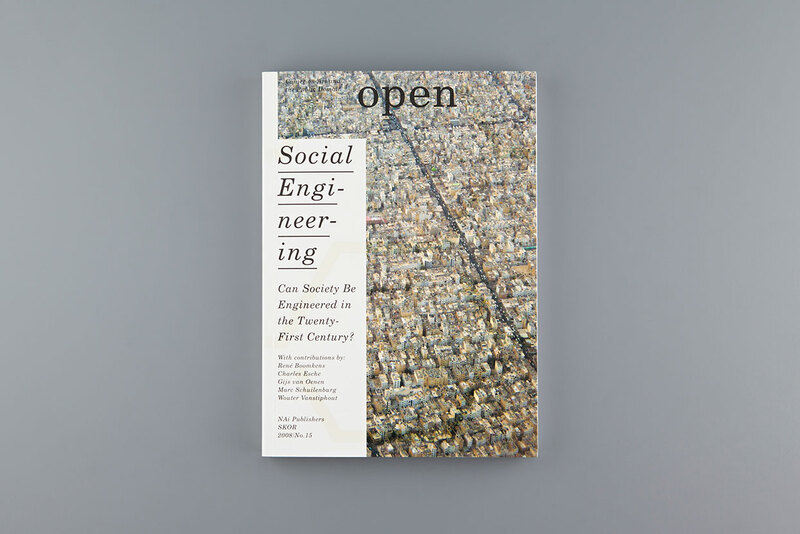 This issue of Open reflects on old and new forms of the philosophy of social engineering in relation to the urban and social space and to the (communal) life therein. The public sphere is an ideological construct that must be constantly reinvented and redefined. The impact of neoliberal forces is compelling even art and its institutions to reinvent, reformulate or re-legitimize their public dimension and involvement. For both art and art institutions, after all, still manifest themselves at the sufferance of the public, the audience. They cannot avoid re-examining what is public and why, who the audience is and where it is situated, and how they wish to relate to it. Do they dare become part of ‘the political’, or do they let themselves become instruments of market players and party politics? The media through which news and information are gathered and exchanged have expanded significantly. Weblogs, advanced search engines, phenomena such as Second Life, MySpace, Hyves, Flickr and YouTube are offering new communication opportunities, social networks and platforms for public debate. These are informal media, largely programmed, supplied and broadcast by the user – in contrast to conventional macromedia like television and the printed press, which are more institutionally determined. This issue examines what the implications of this are for the public sphere. The growing number of conflicts relating to the public and private ownership and control of knowledge and culture has lent a certain urgency to our thinking about the ‘common’ in the public domain. ‘Freedom of Culture’ has become a pressing issue with legal and ethical implications. To what extent can culture be freely distributed, exchanged or appropriated? And what guarantee is there for the continued existence of places where the ‘commons’ can manifest themselves and be discussed? 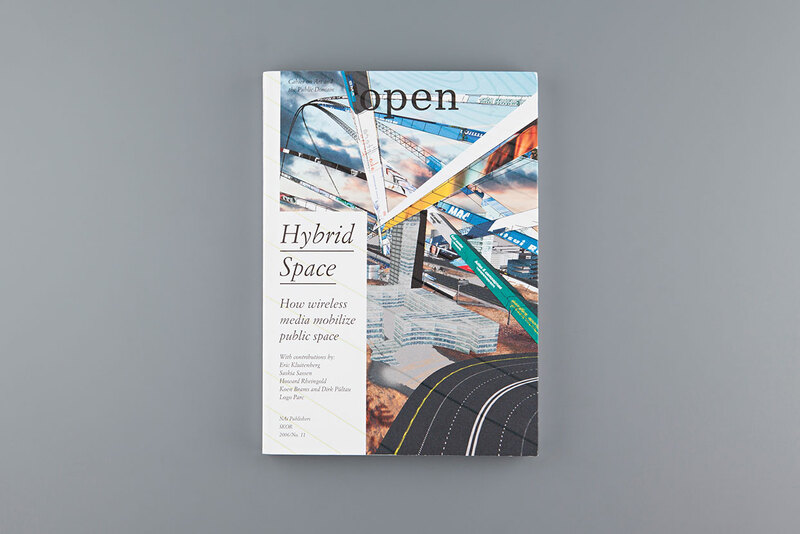 This issue of Open focuses on questions regarding the privatization of intellectual property and presents several alternative approaches to urban design that aim to restore the communal dimension to public space. The public domain is a place where people act and create a ‘communal world full of differences’. This space has become ‘hybrid’ in nature: a complex of concrete and virtual qualities, of static and mobile domains, of public and private spheres, of global and local interests. Last but not least, hybrid space is formed by wireless and mobile media like GSM, GPS, WI-FI and RFID. These media are deployed as control mechanisms, but also as alternative tools for increasing and intensifying public agency. A select company of artists, designers, architects and urban designers is investigating its implications and possibilities and putting them to the test. No discourse seems more hollow at the present moment than that about tolerance and freedom of expression: in Western culture these concepts are scarcely capable any longer of generating meanings that apply and appeal to all of us. The codes, rules, agreements and symbols that determine our freedoms and rights within the public domain have ceased to function effectively. Leaving cynicism and nihilism behind, the politico-philosophical concept of the public sphere needs to be articulated anew. The desire for this is projected not just onto politics, but also onto art, architecture and the city. Open 10 brings together analyses, stances and proposals of theoreticians and artists. Public space is not only visually but also acoustically manifest: public nature is a function of visibility and audibility. Including the role of sound in reflections on public space and in its actual design is therefore as necessary as considering the visual. 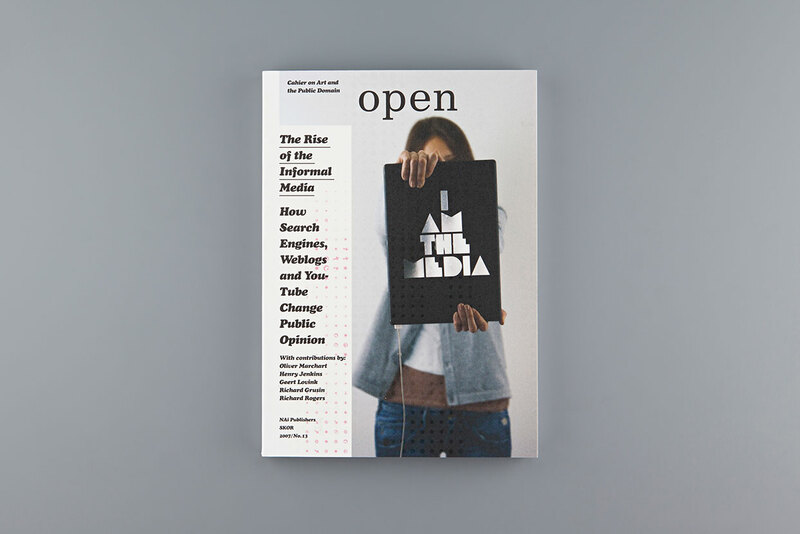 In Open 9 there are essays about the way in which sound and audio media play an aesthetic, ethical or political role in contemporary urban space. 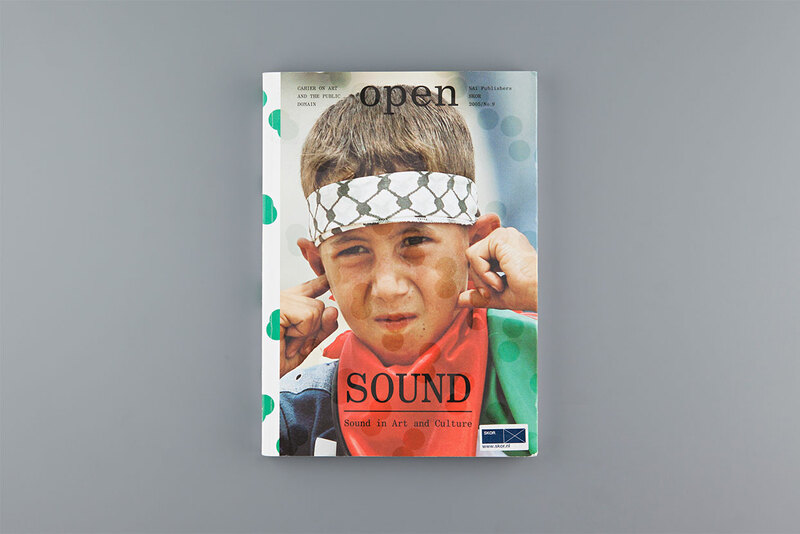 This issue illustrates how radio is undergoing a cultural revival and how sound is deployed in relation to social or spatial surroundings. This issue includes an mp3 disc with sonic artworks and interviews. The level of visibility of social, political, economic and cultural events provided by the public media is regarded as indicative both of a society’s democratic credentials and of the quality of the public domain. 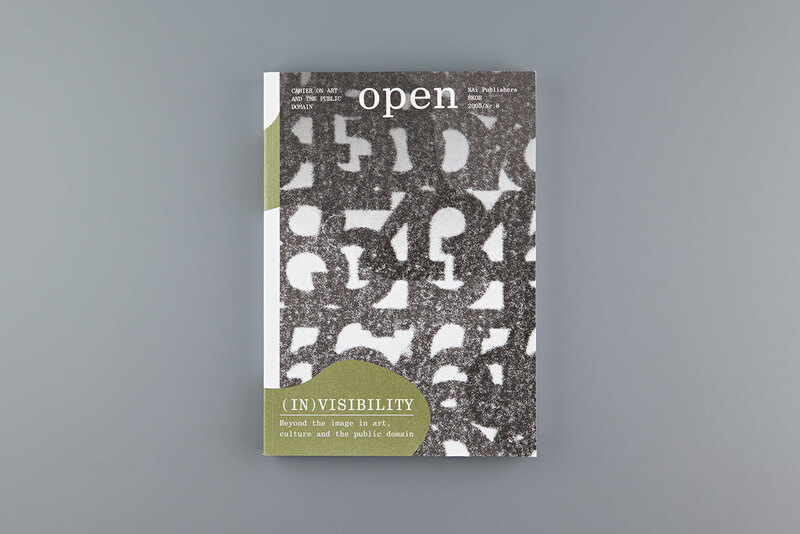 Visibility is associated with openness and communications, with social order and political balance. The invisible is the uncontrolled, the repellent and the repressed, but it is also that which still awaits disclosure. Within this regime, the visual media produce an incessant flood of images, while the public are themselves constantly occupied with visualizing their experiences. In this confusing situation, any visual message or social agenda is out of the question. What position does art take in this? What can the dedicated efforts of artists, designers and architects, with all their commitment and legitimizations, contribute to this ‘lost’ public domain? And what specific developments in current visual culture operate in this area? The present organization and experience of the public domain are to a significant extent defined by the tension between individual and collective, old and new, autochthonous and allochthonous memories. It is therefore imperative to re-examine the content, the control and the place of memory within the public domain. How can active use be made of the information stored in the current ‘memory places’? What is the role of art in this? Is collective remembrance still possible? How can the cultural heritage be made accessible without turning city and country into one big open-air museum? And what are the implications of new media and digital storage technologies for the social and historical process of safe-keeping and remembering? There is a yearning for security in today’s public domain. The individual and the community are increasingly demanding protection from and control over the space, themselves and others. A society of control is looming, but one lacking a clear idea about the nature and the origin of its underlying fears. This cahier examines the consequences of the current preoccupation with security for the public space and the visual arts. What are the implications for the functioning of the public domain, for its arrangement, design and experience? And how does this influence the task and perception of art? From art, architecture, philosophy and politics come theoretical and practical scenarios, proposals and visions that expose something of today’s security paradigm, advocate alternative (conceptual) models or offer insights into the current ethics and aesthetics of security.